I spent last week being a lump on the couch and praying for my friend’s carmen’s safety and her family. They’ve had the threat of a volcanic eruption hanging over their heads and all the other dangers that are associated with sulphur and dangerous gases being tossed in for good measure. 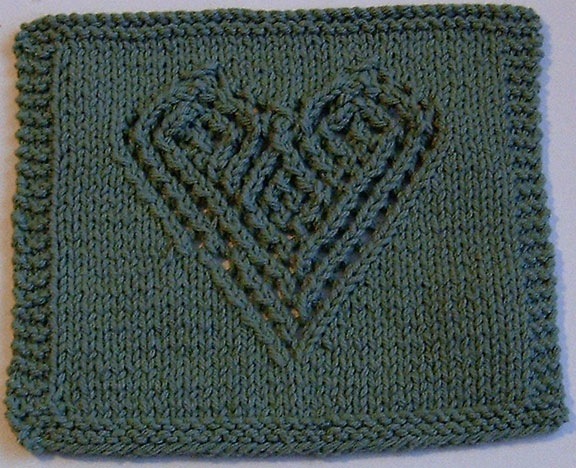 While I was a lump last week I went on a knitting frenzy – heart dish cloths 😀 I posted 2 of my finishes in my last post and since then have done 3 more .. one of which I designed 😀 My february KAL is for heart designs .. doesn’t have to be dishcloths, but that was the easiest and required only that my fingers work – minimal concentration, so that was a good thing!! I did a quilted heart dishcloth, a lacy heart dishcloth (this one is really pretty and I had a LOT of fun doing it!) 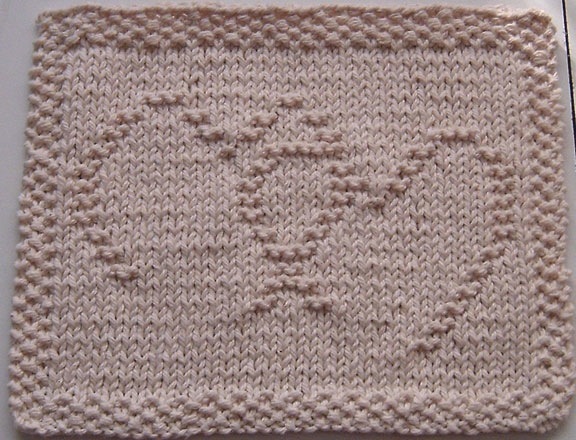 and my Floating locked hearts dishcloth – this one is more of an abstract design with open ended hearts that float – very simplistic and easy to do 😀 The directions are on the Fiberbabble Says blog with a link to a pdf file if you want. 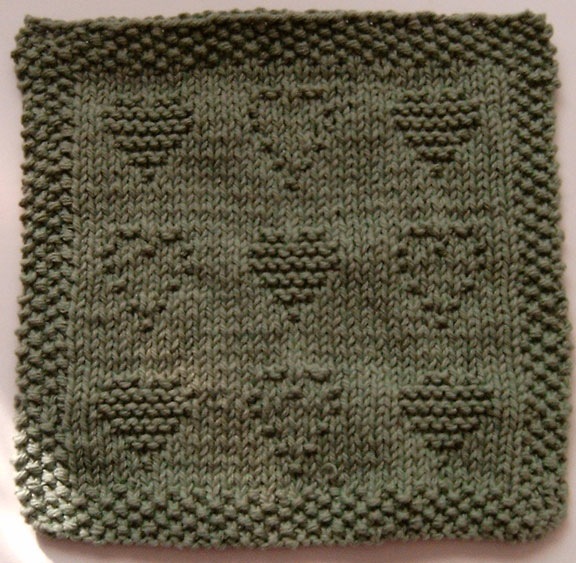 Please don’t mind the green on the quilted hearts – it is the same green as in the lacy hearts dishcloth, but to show the detail, you get to see a nasty green instead. but the green in the lacy hearts is true to life so to speak. All these images are clickable to larger. I’m planning on getting into gear on severals things, challenge for OST, guest blogger post, website updating, and my 1800 quilt. I’m working on my Kitchener socks again, and have almost 1 sock done .. I’m at the toe decreases and these socks can’t get done fast enough to suit me! So time to take something for my head and plot my battle at step one for digging out around here. Hope you all had a great weekend and have a great start to your week! What beautiful dish clothes. You are so talented. I hope you are feeling better. We have all been down with the crud too.